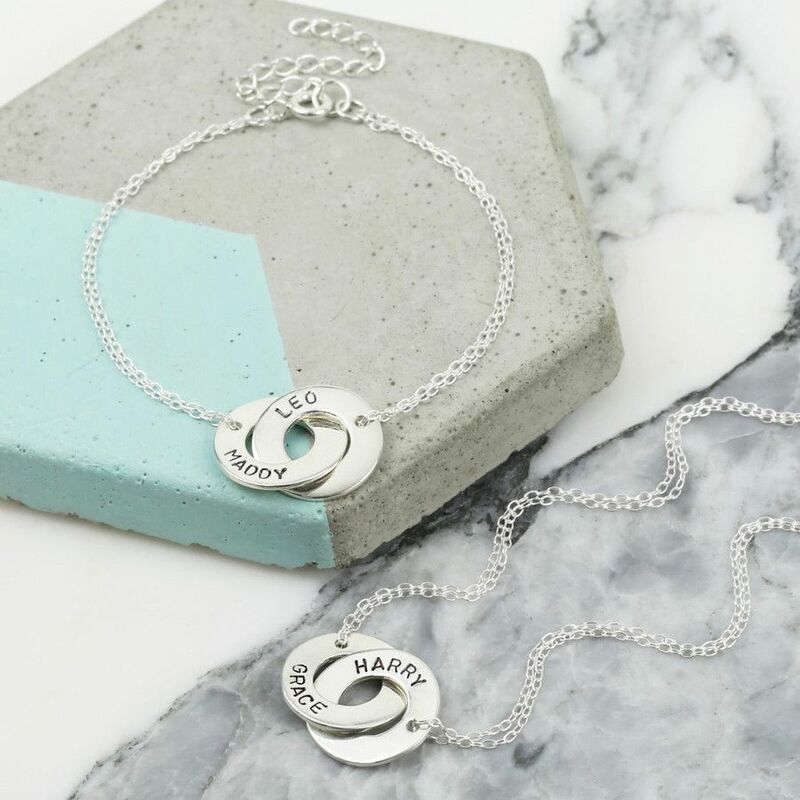 This sophisticated sterling silver Personalised Interlocking Necklace and Bracelet Set is sure to add some glamour to her wardrobe. This high quality set is great for any occasion, and will perfectly accessorise an array of clothing for her and is ideal for day or evening wear. Each piece features two interlocking hoops, which can be personalised to your specification, 10 characters on each hoop is permitted. Your message is created using an hand stamped technique which will give a rustic quality to the jewellery. The hoops are then attached to dainty double trace chains, which come with a lobster clasp for close. 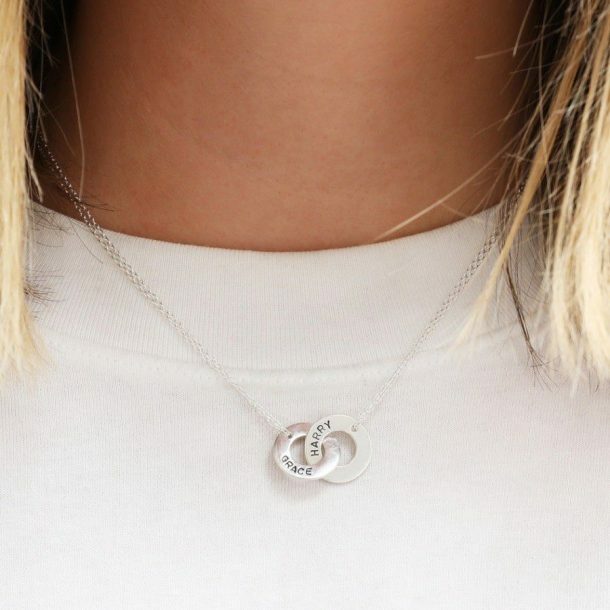 The necklace is available in 2 sizes 16 or 18 inch and the bracelet length is 5cm with a 5 cm extender chain, so it adapts to any wrist size. 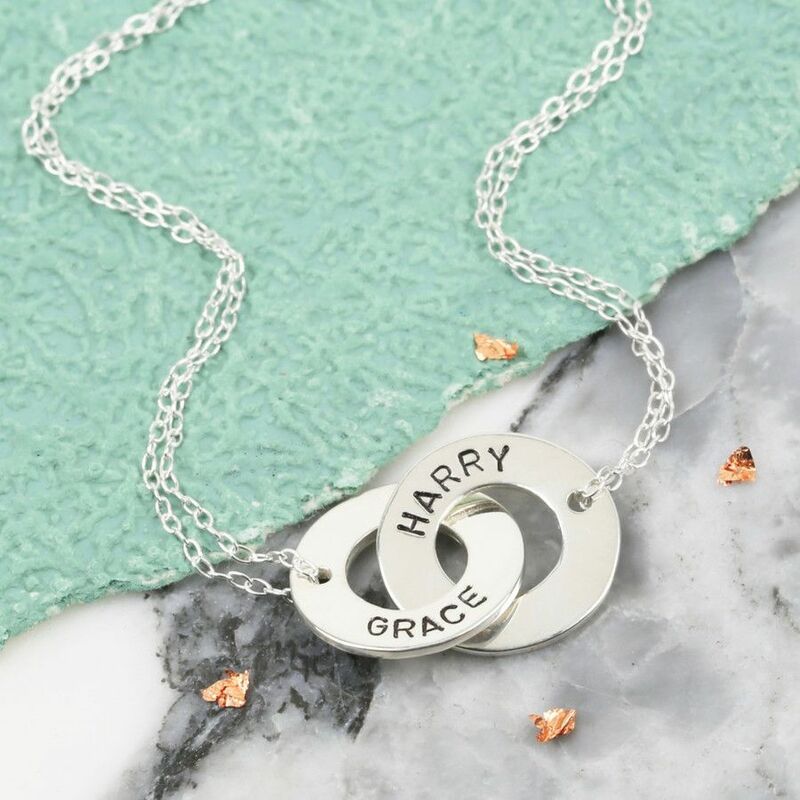 Both pieces are hand made in sterling silver, and it’s a versatile set that’s perfect for any celebration. A romantic gift idea for a wife on her 25th wedding anniversary, a lovely set for a bride on her wedding day or a special christmas present for a girlfriend. 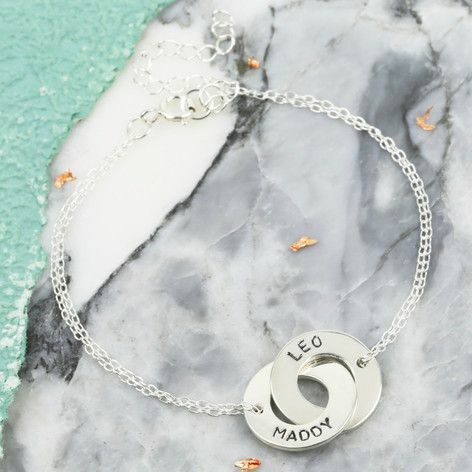 A personalised jewellery set that she will treasure forever. Bracelet Length – 17cm with a 5cm extender chain.